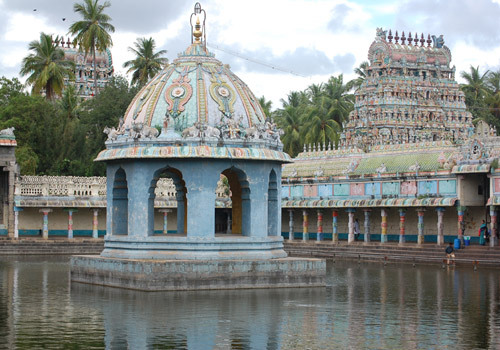 Vaitheeswaran Temple is a famous Hindu Temple dedicated to Lord Shiva located near Kumbakonam , Tamilnadu. It is located 7 kilometers from Sirkazhi, 235 kilometers from Chennai, 27 km from Chidambaram, 110 km from Thanjavurand 16 km from Mayiladuthurai. Lord Shiva is worshipped as Vaitheeswaran or the "God of healing" and it is believed that prayers to Vaitheeswaran can cure diseases. 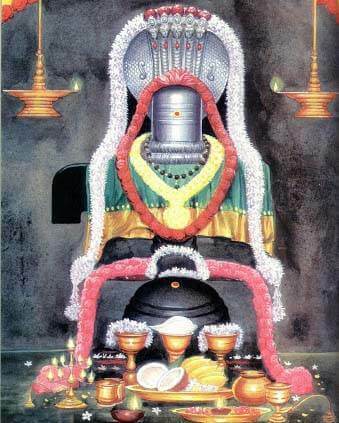 Goddess Parvathi Devi as Thaiyalnaayaki. 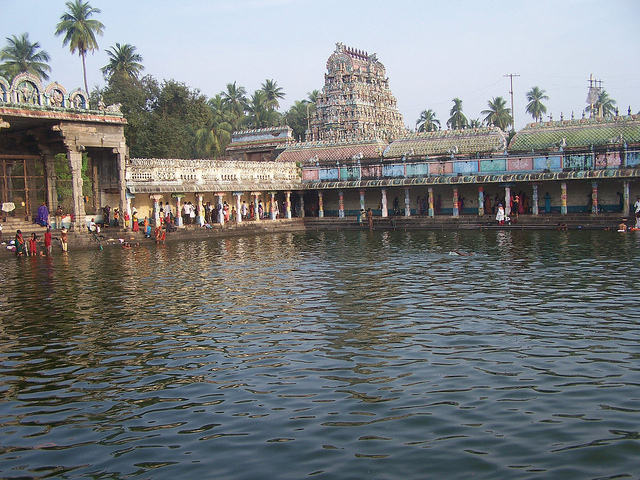 It is one of the nine Navagraha (nine planets) temples associated with the planet Mars (Angaraka). Separate sanctorum for Angaraka (Planet Mars) is a Specialty out here as cannot find it elsewhere. There is a pond at this temple called Jatayu kundam. One of the nine planets, Angaraka (Mars), suffered from leprosy and was cured by Vaidhyanathaswamy and from then on it is treated as one of the Navagraha Temples for planet Angaraka. Give relief from Disease especially Skin disease.